Welcome back to Bull & Bear Picks! For January – and this one that has hit Montreal particularly hard – we’ve asked some section editors about who their winter icons. Hopefully this gives you some inspiration for how to make this season yours. I thought you peaked when you won Olympic Gold at Vancouver in 2010 with “The Swan,” but, oh. How wrong I was. After breaking hearts nation-wide by retiring after Sochi in 2014, you resurrected me from the dead with your comeback announcement. And then you promptly sent me back to my grave with your Moulin Rouge performance at the 2018 PyeongChang Olympics. By some miracle, the ice didn’t melt from the heat of your routine, but my heart certainly did, along with the rest of the country’s and perhaps the rest of the world’s. I don’t mean to be dramatic, but I care more about your (supposedly) platonic ice-dancing partnership more than any relationship I will ever have. Looking forward to your 2022 Olympic routine which I know in my heart will end with Scott’s on-ice proposal. Let me know if you need help choreographing, or if you’d like me to perform this ode at your wedding. Thanks for being my winter icons and Canada’s sweethearts. Here’s to another 20 years! While there are certainly flashier and more hyped-up Winter Olympic events, there is only one that should earn the top place in your heart: long track speed skating. 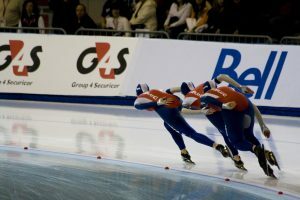 Long dominated by everyone’s favourite Northern European social democratic nation – The Netherlands – long track speed skating is both graceful and alluring, while also providing some of the Olympics’ most heart-racing entertainment. The mere image of the world’s top winter Olympians gliding – nay, floating – across the ice is truly one of the most beautiful and satisfying sights in all of sport, full stop. While the Winter Olympics may qualify as a #wintericon in its own right, I implore you to think of long track speed skating as the iconic sport of an iconic quadrennial winter event. And please, don’t even consider changing the channel to long-track’s boring sibling, the more physical, yet visually less-appealing short track event. Trust me, just stick to long track and watch the Dutch dominate before your eyes. There is a lot going on in Yvon of the Yukon. The animated show tells the story of a seventeenth century Frenchman, Yvon Ducharme, who falls off a boat at sea, cryogenically freezing into a block of ice for three hundred years (you read that right) and floating his way to the Yukon. It’s not until a sled dog pees on Yvon’s frozen corpse that the French explorer is brought back to life (yes, you read that right, too) and must adjust to his new life in the Canadian Arctic. Through slapstick humour alluding to Yvon’s disgusting hygiene and failure to adapt to the modern world, this show’s distasteful humour surrounding Indigenous Peoples has not aged well (since it was rotten to begin with). 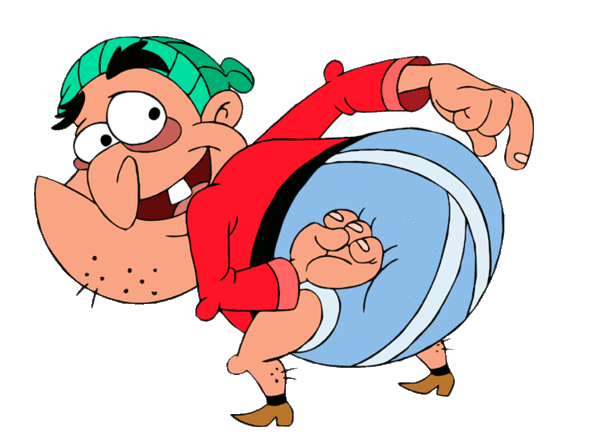 Really, Yvon of the Yukon had the potential to be a Winter Icon™ but due to one too many grody stereotypes of Yukon First Nations and (in my opinion) poop jokes, Yvon is simply a jarring memory in the minds of a couple million Canadian adults. Sad. He’s adaptable. 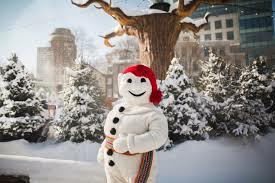 Bonhomme thrives in the cold and smiles on the snowiest of days. As the frontman in the winter parade, he’s comfortable in the limelight, but he’s also super down to earth and may take you on a long intimate walk through his Ice Palace and Royal Court. He always comes prepared. A French-Canadian cutie, he rocks a hat, gloves, boots, and what appears to be a very warm cummerbund. Function and fashion rolled into one; Bonhomme is a style icon. He loves kids. He’s huggable, soft, and there are countless songs named after him, plus have you ever seen a half-snowman half-human baby? Adorable. He’s iconic. An international symbol of Canadian winter, he wins the hearts of tourists and melts the hearts of his Canadian fans. He’s basically Dwayne the Rock Johnson meets the Pillsbury dough boy. He’s an enigma. A yearly treat, Bonhomme disappears when Carnaval ends and no one knows where he goes. But what he lacks in longevity he makes up for with commitment. He hasn’t missed a Carnaval since his first appearance, and holds the key to Quebec City, so you always know where to find him. 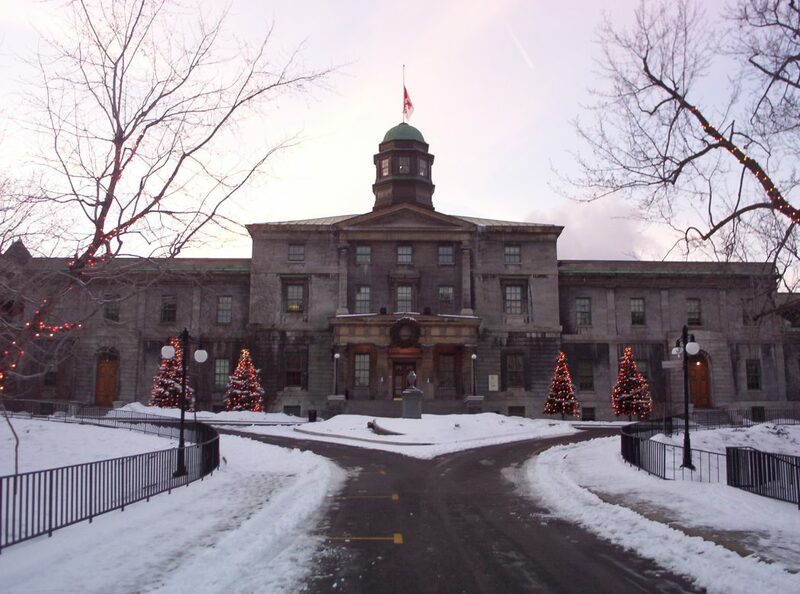 Bonhomme Je vous aime et J’ai hâte de vous voir au Carnaval mon amour!